Our hearts ache as we set free our beloved mother and grandmother to a place without pain and sorrow. As hard as it is to go on without her, we take comfort in knowing that she says goodbye to this life of imperfection and aging. She was born to Harry Malkin and Virginia Poole in Chester, West Virginia, on August 30, 1922. She lived most of her life in Hubbard and Niles, Ohio and was a member of Jehovah’s Witnesses, first in Hubbard and later the Niles congregation. She married Cliff Krotzer, a construction worker in 1964 and they remained married until he passed away in “the 1980s”. She lived in Niles in a modest ranch house where all animals were welcome. She fed the squirrels, the birds and even raised some abandoned bunnies. She had many beloved pets, too many dogs to mention and then became the neighborhood cat rescuer. She loved music and it was always present in her home from country to Hawaiian genres’. Harriet was preceded in death by her parents, three sisters and one brother, and a step daughter Myra Jane (sue) Krotzer of Niles. She lost her great grandson John (Bubby) Thompson from East Liverpool earlier in 2018. 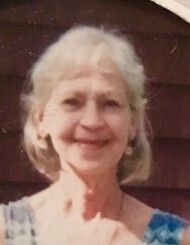 She is survived by her daughter Virginia (Ginnie) Davis of Warren; a son, Eddy Krzynowek-Kay in Houston, TX; stepson Leland Krotzer in Ashtabula; four grandchildren, Ginnie Lynn Davis of Niles; BJ O’Malley in Nashville, TN; Carrie Davis of Warren; and Andrew Krzynowek-Kay of Houston, TX; a great grandson Gideon O’Malley of Nashville, TN; and great granddaughter Darla Davis Thompson of East Liverpool. She leaves four great-great grandchildren, Ty’Jon Anthony, Taliah and Tiana Davis, and Lanae Thompson all of East Liverpool. A private family service is planned for later this month and will be conducted by a minister of the Niles congregation of Jehovah’s Witnesses. Visit www. hollowaywilliamsfuneralhome.com to view this obituary and send condolences to the Krotzer family.